I’ve spent quite a lot of time recently thinking about things that aren’t real. I’ve realised, that actually, not a lot of things are real. Obviously there IS a lot of things that are real. The computer in front of me, and my car outside are both very real. 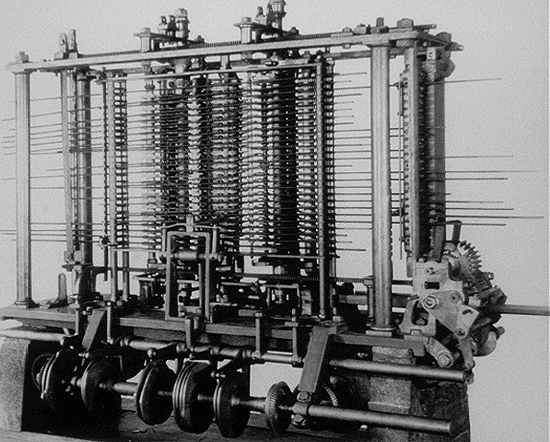 However there is a vast array of things processed by the human mind, that have no physical form. From a consumer perspective, consider the ‘Coca-cola’ brand. It has been said that if the entire infrastructure of Coca-cola’s operations were to be lost, it would be okay if the brand were preserved. Where does the Coca-cola brand exist? It is a representation in your mind. The same can be said about psychotherapy. Cognitive-behavioural therapists will help clients recognise that many of their beliefs and fantasies, and how stopping a certain thought can solve the problem. Many of the thoughts we have concern the qualitative (attributes), quantitative (numbers) and connective factors of the things we interact with. For example, many things are red. You cannot create redness though, can you? You could produce red paint, or show me something red, however red only exists in your mind. As you can see, the role of these thoughts is as a means to an end. The end is to buy Coca-cola, live more comfortably, or enjoy the knowledge that you own a red car. These ideas and norms only work because of social connections which tell us our ideas are in sync with the wider world, and thus, something more real is taking place. This is the origin of connectivist theory, a new way to view learning, as a process which takes place across a network of people. It has come to light at this point in time, as we now live in a highly connected age, where we also have a lot of mediated-but-non-existant stuff to sift through. Connections are powerful, as they give us a new perspective on things like accountability and authority. Suddenly, large groups of people are able to communicate, unify, travel or effect change. 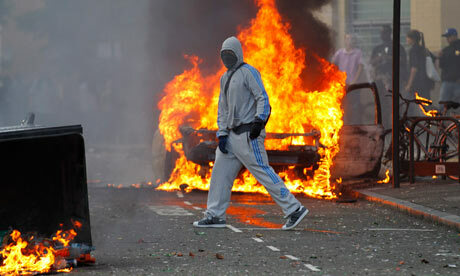 The 2011 riots which took place across England. The rise of mediation and connection has improved access to education, living standards, democracy and freedom of speech. It has also made possible less desirable things, such as the London riots, and mass terror. I wish to dwell on this point for a moment, because I thing it really does put things in perspective. The London riots began with a small group of youths, discontented with a court decision relating to a member of their community shot by the police. As violence erupted, it was exacerbated as it was shared across twitter. There was no specific factor that unified all who rioted, other than their access to social media. I’ve often thought that if the connected world has the power to do what it did in England in 2011, it should have the power to do enormous levels of good too. It is connectivism that has given much positive publicity to Edward Snowden’s whistle blowing. (I mean, you don’t think it came from the establishment do you?) The massive quantity of ALS ice bucket videos is another example of the power of networked activity. There’s a lot of power here, which can be employed in problem solving or divergent creativity. The power of connectivism is decentralised, and virtually impossible to take away, And I don’t think that is a bad thing, because it empowers individuals. In fact, the only thing that could stop it, would be for the energy to run out. This week I had a fantastic opportunity to attend the ‘Flexible Teaching, Flexible Learning’ conference at Bangor University. I was particularly moved by the keynote speaker, Steve Wheeler from Plymouth University. I am already doing research on social networks and connected learning and the way Steve talks about it is just music to my ears. Let me share some of the points that he put across so elegantly. People were never designed to be factory taught or put to work in batches. There’s just something that doesn’t resonate through drill or monotony. The most ‘optimal experience’ takes place when we are challenged at a level that corresponds to our skill level. That is why the production (or synthesis) as opposed to a consumption centred model of learning leads to better understanding and higher creativity. With that in mind, the ubiquitous computing of the postmodern age serves as a tool for the mind, to curate, share and enter into discourse over the how’s and why’s of all things. Never before has the blog or the tweet empowered the common man into a content curator. Never before could people across the world speculate and critique in matters of seconds, and benefit from the enhanced serendipity that comes with the state of flow. And what’s exciting is that it’s not just about finding information. It’s about being found. With tweets, wiki’s, slideshare presentations and sites such as scoop.it or linked in, there’s never been a better time for the inquiring mind. This thought provoking video was shown too, which had been produced by a student in one of Steve’s classes. She talks about her online identity and asks different soul searching questions about why we do what we do, and why we might want to hide such trails. This is something I found really interesting because I am currently in the process of applying for jobs, and I’ve been considering my own various blogs and social networks that I have written online over the years. Some of them I read and wonder how a potential employer might feel reading them. Even now as I write, I feel to choose my words carefully because of what this could imply. The reality is I don’t drink, or engage in destructive rebellious behaviours. But I have blogged about politics and the economy. In today’s climate these can indeed be dividing topics. Some might suggest abstaining or moderation; however I can genuinely say that it is through the putting of my thoughts and feelings into words that has helped me recognise the efficacy of my view points. In a very real sense, sometimes you have to go somewhere to more fully understand it, and that includes contemplating the extremities of political opinion. Yet because it is an incomplete work I feel to hide it away from the world in case I be misjudged. The problem with the internet being written in ink is that it leaves little sympathy for mistake. Another remark of Steve’s that I liked was his acronym for failure. A ‘fail’ is simply a First Attempt In Learning. In the attitude of tearing down walls, why should errors and mistakes made using the fantastic infrastructure for social learning that we have hamper those engaged with the best learning of the day. Can the internet just be a little more forgiving?